According to the rule, the highest level of fine will be VND40 million (US$2,000). Peddled wares using audio equipment causing excess noise at public places will be fined VND1 million (US$50). 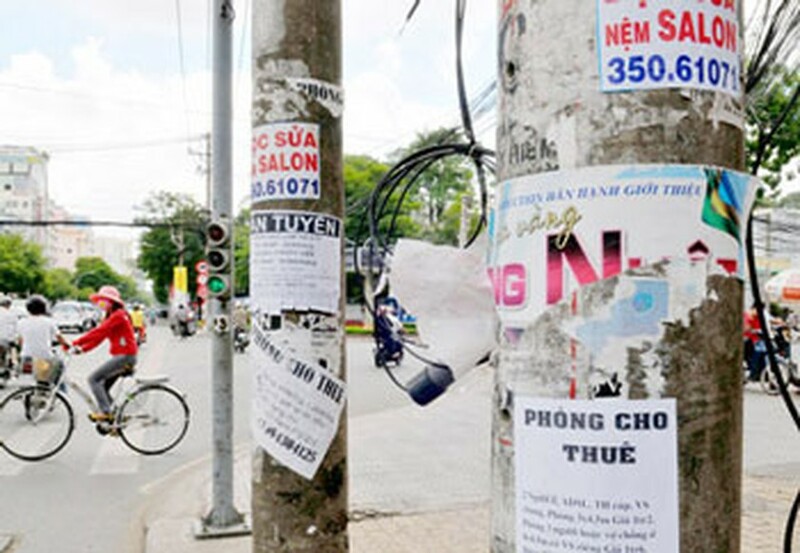 The fine is VND5-10 million (US$250-500) for advertising activities of telephone numbers and addresses of enterprises in barred locations such as trees, lamp posts and others, which negatively affect the environment as well as urban beauty. Repeat offenders will be fined VND10-20 million (US$500-1,000). Superstitious activities and abuses of belief and religion in festivals, historical and cultural sites, and other public places will have to pay VND500, 000- 1,000,000 (US$25-50). Cases of public drunkenness, including offices, hotels, restaurants and bars and driving under the influence alcohol will draw fines of VND500,000- 1,000,000 (US$25-50).